Philadelphia sports and practices just don’t mix. 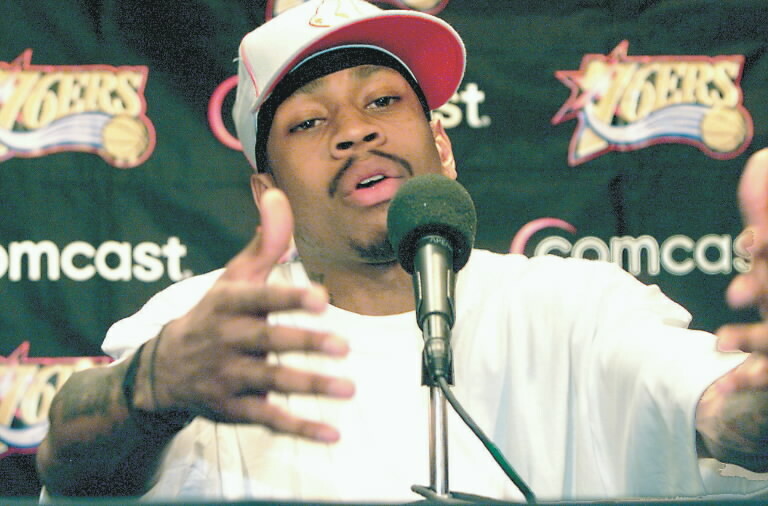 Remember back in November of 2006, when Allen Iverson missed a Philadelphia 76ers practice? Then remember the controversial press conference that took place in response to it? Practice?! Practice. You wanna talk about Practice?! Not a game…not a game. But practice?! That day and that press conference would go onto live with the career of Iverson and the franchise for the rest of his life and the teams future for years and years to come. And six years later, the practice controversy has gotten even worse as jokes about it have been made and players, coaches, and the general public have mimicked it in several different ways. It just never really seemed to get old and it probably never will as it’s even inspired some people like Philadelphia Eagles wide receiver DeSean Jackson. Last Saturday Jackson missed a mandatory team meeting that was held for a preparation for Sunday’s matchup against the Arizona Cardinals. Rumors said that he missed it because he overslept, but no one knows for sure as on Monday during a press conference Jackson didn’t answer the question. See now Jackson really just doesn’t think; he misses a mandatory team meeting, then as a result gets benched, and then during the press conference he states that it’s not a “chronic issue?” really? That’s all you have to say? Who’s going to repeat that for years and years to come? No one. Man, Jackson had the perfect opportunity to turn this bad incident into a better one by shining some light on the whole incident with some funny comments or an Allen Iverson practice speech variation of his own. But instead Jackson felt that the silent treatment was more necessary. As of right now there are no further plans for punishment of Jackson as he’s scheduled to play on Sunday night against the New York Giants and return to his starting wide receiver role. However I do think that Jackson needs some help and he needs it from Allen Iverson, because after hearing Jacksons response to the whole thing it’s just obvious that he needs some practice, and what better person to help than Allen Iverson; the practice master. Your life changes everyday; rather you had something different to eat for breakfast, you bought a new car, you got a new job, whatever, your life changes in at least one way each day. For running back Jerome Harrison of the Detroit Lions formerly of the Philadelphia Eagles, life changed too. Approaching the trade deadline Harrison was traded from the Lions to the Eagles in exchange for running back Ronnie Brown as well as an undisclosed draft pick. 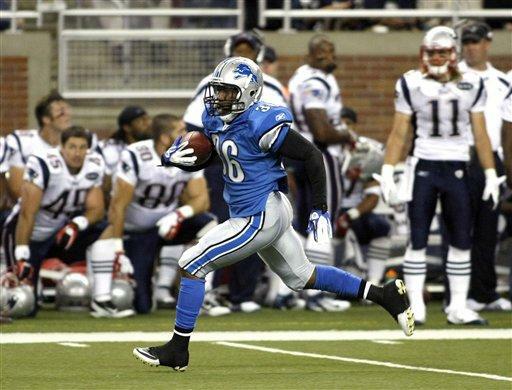 The Lions made the trade due to a concussion that running back Jahvid Best suffered on Sunday. However the trade wasn’t official just yet as like every trade, it was pending a physical. Though the physical part is usually the easiest part of the trade as everyone always passes it and there are usually no worries, however this time there was. After getting a physical on Wednesday the trade would be voided due to “health issues” to Harrison that wouldn’t allow the trade to process. Though, those “health issues” would later be diagnosed as a brain tumor. According to ESPN, doctors discovered Harrison had a brain tumor during his physical Wednesday, voiding the Detroit Lions’ deadline deal with the Philadelphia Eagles for running back Ronnie Brown and sending Harrison back to Detroit. Amazing…simply amazing as well as very lucky, because if running back Jahvid Best never suffered a concussion on Sunday then the Lions would’ve never made a trade for Ronnie Brown. This would’ve meant that Harrison wouldn’t have been involved in a trade meaning he wouldn’t have had a physical done, which would’ve meant that doctors would’ve never discovered the brain tumor and if the tumor was never discovered, who knows what may have happened then. The Lions have yet to comment on or confirm that Harrison’s tumor is being treated. As for the rest of the Lions organization, Maurice Morris will likely be the starter for this weeks game against the Atlanta Falcons on Sunday as Best looks very doubtful. There have been other reports as well that have said that Best was ask to consider sitting out the rest of the year due to this being his second concussion within three months. As for the Eagles, Ronnie Brown will return to his backup role behind LeSean McCoy and their undisclosed draft pick will be theirs again. Its crazy how life has its twists and turns and where it may lead you, but for Jerome Harrison life has hit a dead end for him as of right now, however luckily for him, he’ll be able to turn around.